Fitzrovia is centrally located, close to the West End. Situated between Marylebone and Bloomsbury, Fitzrovia sits in the area bordered by Euston Road and Oxford Street – respectively to the north and south – and Gower Street and Great Portland Street to the east and west. Home to the famous BT Tower landmark and the now demolished Middlesex Hospital, Fitzrovia has long been associated with artists and bohemians such as Virginia Woolf and George Bernard Shaw. Fitzrovia is served by Goodge Street, Great Portland Street and Warren Street tube stations. 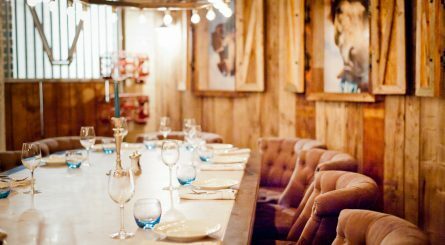 The area is home to many restaurants and is an ideal Central London location for private dining. 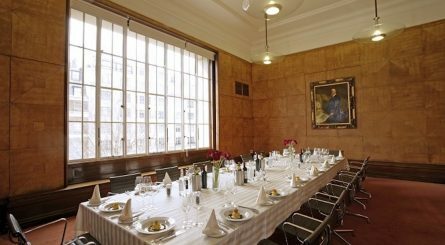 Mortimer House in Fitzrovia W1 has a range of private dining spaces accommodating 8 – 70 seated guests or up to 120 for standing receptions. 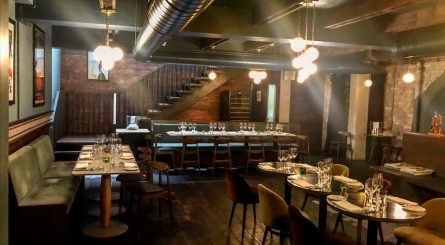 The lower ground floor Wine Bar at Noizé French Restaurant in Fitzrovia seats up to 45 private dining guests or up to 60 guests for standing receptions. 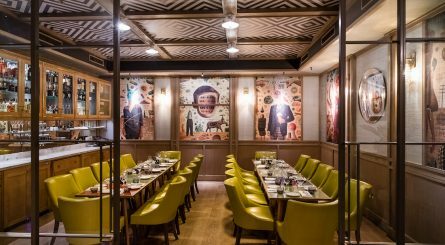 The four private dining spaces at Percy & Founders in Fitzrovia, London W1 can accommodate 20 – 60 seated guests or up to 100 for standing receptions. 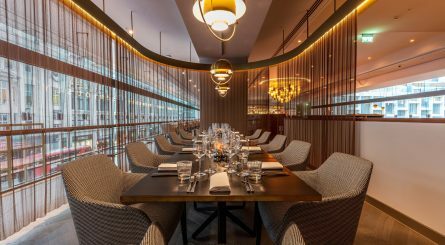 The private room at Hakkasan Hanway Place seats up to 20 guests and can accommodate up to 30 people for standing receptions. 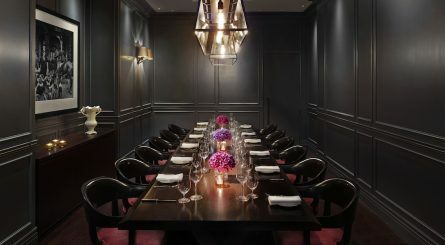 The two private dining rooms at Fitzrovia’s The Elysée each accommodate up to 30 seated guests. 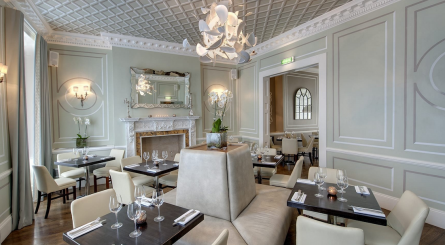 Private dining rooms at The Royal Institute of British Architects – located between the buzz of Oxford Street and the tranquility of Regent’s Park can accommodate 22 – 250 seated guests or 100 – 400 guests for standing drinks receptions. 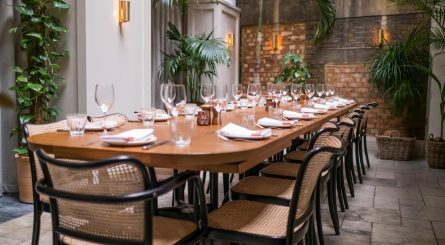 The Stables private dining room at Riding House Café in Great Titchfield Street, Fitzrovia seats up to 16 guests. 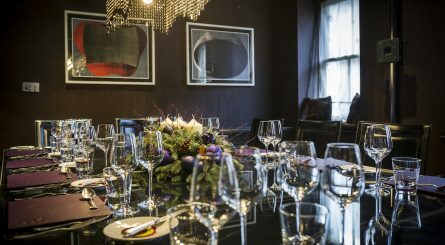 The Dining Room also provides a semi-private dining space for up to 55 seated guests.